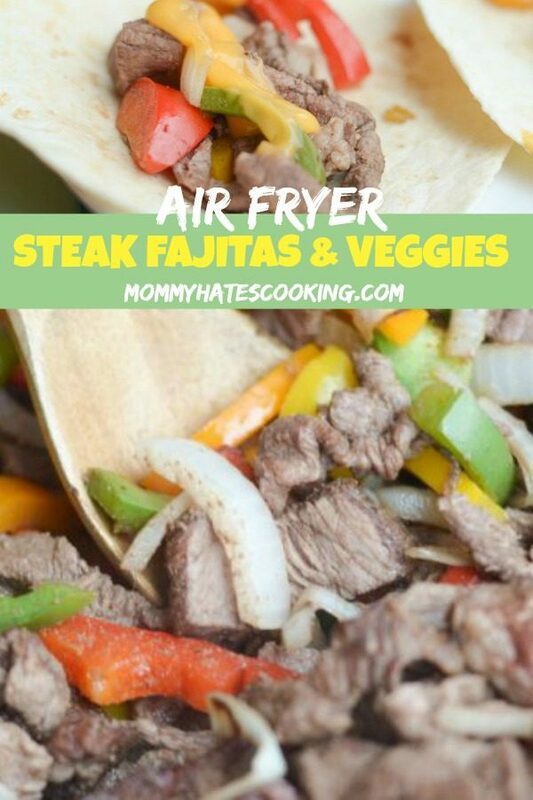 Air Fryer Steak Fajitas are a great choice for dinner! 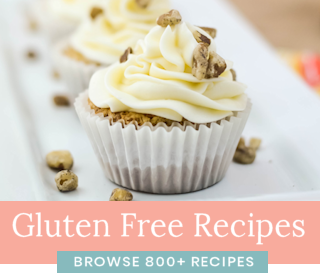 They are super quick, tasty and family friendly! 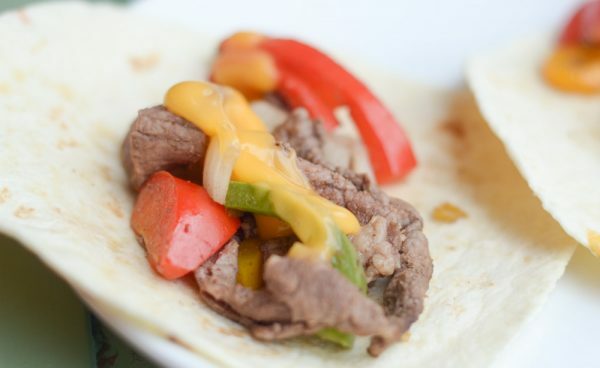 I feel like with every Air Fryer meal that we try, we fall in love even more especially these Air Fryer Steak Fajitas. This past week, we have had quite a time getting dinner ready and just balancing it all. Last week felt like a week of Mondays. Do you ever have that happen? Then, this past Monday seemed to go fairly well. Then, that evening my computer decided to die. So, I lost everything the past 2 months that I had saved and when you work from home primarily on that computer…that’s a sad day. My computer is working great now, but I still have some sadness over everything I lost on the old one. Back up at least once a week, lesson learned! It’s funny actually, I keep my menu plan with recipe ideas saved on the computer. That means, I lost all of my menu for the rest of the month and every recipe idea I had. I honestly cannot remember it at all! 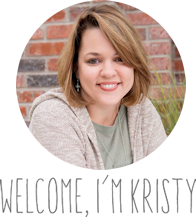 I told my husband that now I don’t know what we are having for dinner because I lost my menu plan. That’s okay though, now I just get to think up some new ones. Now spending nearly a day trying to get everything back that I use like applications, I feel like I’m functioning again work wise. In the meantime though, last week meant very quick dinners. 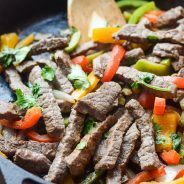 These Air Fryer Steak Fajitas totally hit the spot! 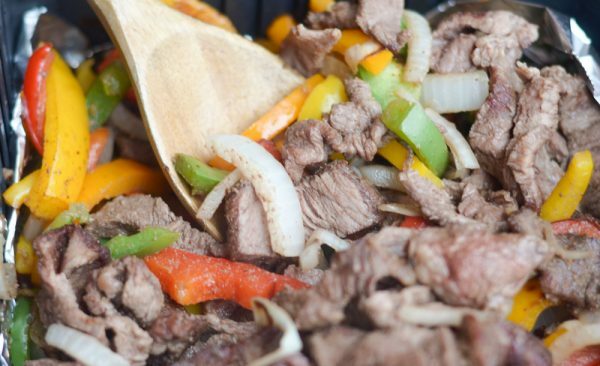 What do you need for Air Fryer Steak Fajitas? 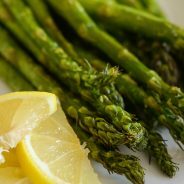 I put this all in the air fryer, added a bit of olive oil spray and away it went! I cooked this on 390* for about 10 minutes or until your desired doneness. I would check to be sure the settings on your air fryer for steak. 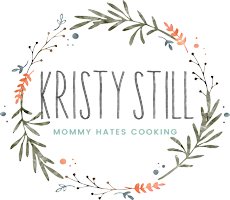 I’ve found that many air fryers are all made differently, it’s always best to be sure and see if there is an optimal time on your air fryer for steak. 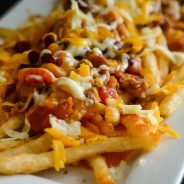 Now, are you ready for these? We topped them with some nacho cheese. I also paired ours with rice as well to complete the meal. 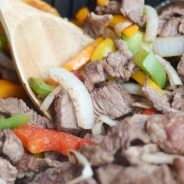 Enjoy these Air Fryer Steak Fajitas! Line the basket of the air fryer with foil and coat with spray. Thinly slice the steak against the grain, this should be about 1/4 inch slices. 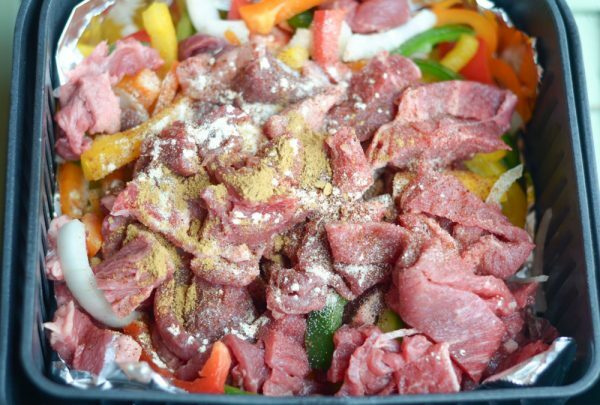 Mix the steak with the peppers and onions. 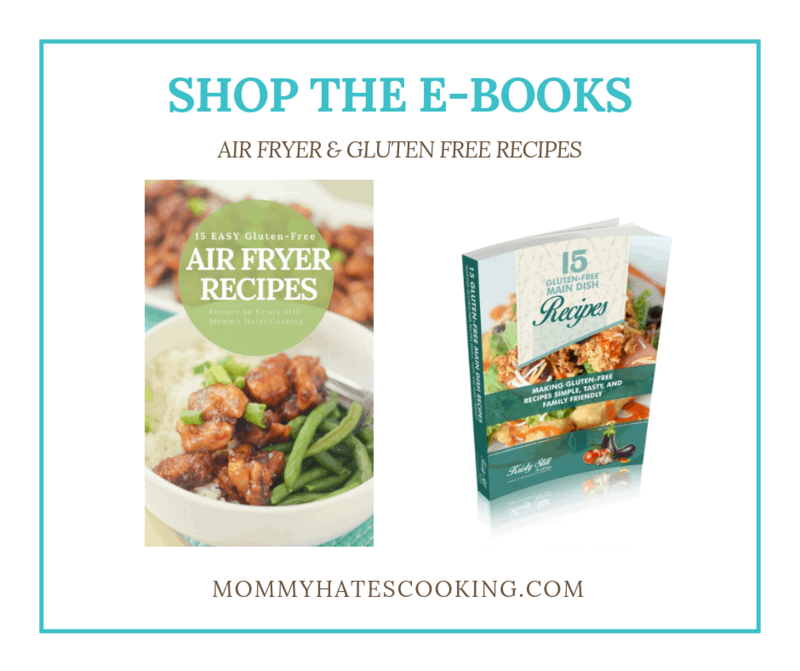 Add to the air fryer. 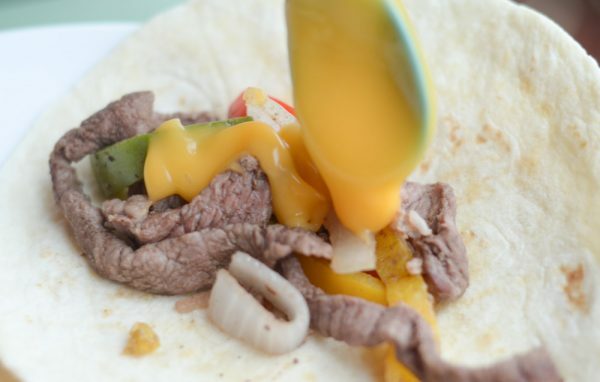 Evenly coat with the fajita seasoning. Cook for 5 minutes on 390*. Mix up the steak mixture. Continue cooking for an additional 5-10 minutes until your desired doneness.